$53-Million Earmarked to Combat Overfishing – Neptune 911! Financial Times reports that “The former New York City mayor is about to go a step further, however, with a $53m grant from his Bloomberg Philanthropies foundation to combat the chronic overfishing some experts say is threatening the world’s fish supply. One billion people rely on fish as their primary source of protein. As the world’s population continues to grow, so will the demand for fish – which is projected to rise by over 20% by the year 2030. Meanwhile, over-fishing, or taking more fish than can be naturally replaced, is depleting the global population of fish. The amount of fish caught worldwide peaked in the 1990s and has since declined. Industrial ships are able to catch two times more fish than exist in the ocean. Bottom-trawling, or dragging a heavy net along the ocean floor, in some cases discards 10 lbs of marine life (dead or dying) for every 1 lb of marine life caught. Other dangerous practices include dynamite and cyanide fishing, which damage coral reefs. Limits on the number of fish that can be caught are set too high in many places or do not exist at all, diminishing fish stocks and not allowing fish to repopulate. The good news is that marine ecosystems can rebound relatively quickly if caught in time. 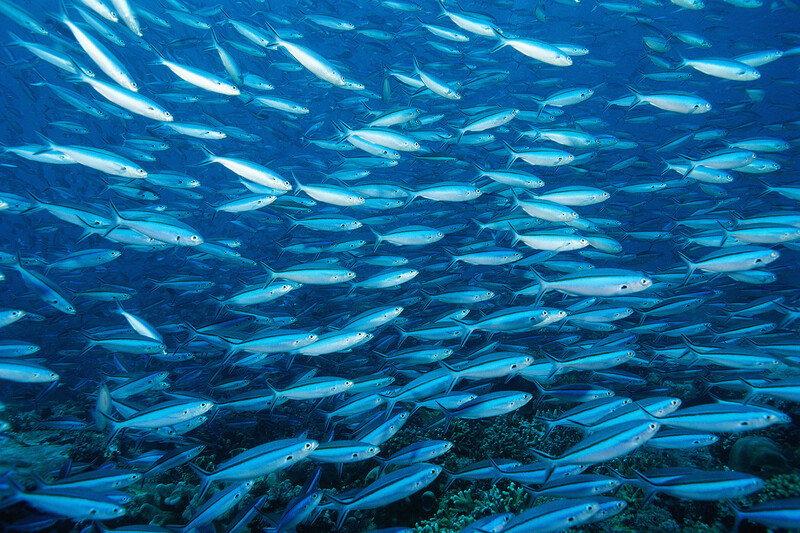 The factors that led to mismanagement must be addressed now in order to replenish fish populations and to help meet the dietary needs of a growing global population. …That’s why Bloomberg Philanthropies launched the Vibrant Oceans Initiative, a $53 million, 5-year effort to boost fish populations in Brazil, the Philippines and Chile. Reforming fishing practices in these countries will revitalize 7% of the world’s fisheries.